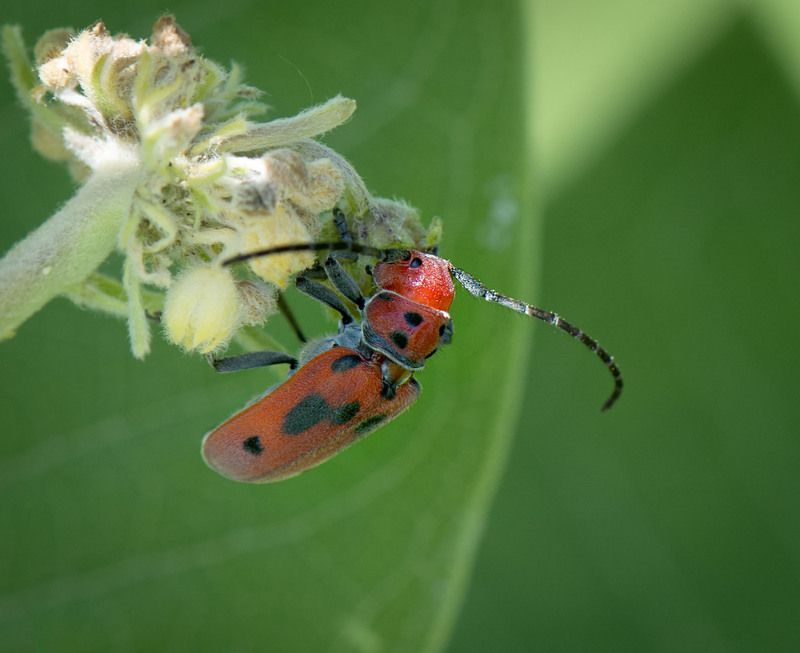 Butterfly and Beetle both agree…Milkweed is the Plant for Me. My plants are loaded with those and many other types. It is quite a large community. The milkweed harbors many dependent residents. Hi Jim, Milkweed does the same around here as well. I think we have photos of about 4-5 different beetles, several butterflies and flies and spiders all creating a little ecosystem on that plant. It is really cool to ponder those little ecosystems we often overlook. That’s one beautiful butterfly. Fabulous picture, too. The eyes are amazing. HI and the butterfly is a Painted Lady. We have many of them visiting our area this summer and I agree that they are very beautiful. hope your day is going well and wishing you a wonderful week. Love the detail! You are so talented! Hi and thanks. Hop you have a wonderful week and thanks again for the feedback. 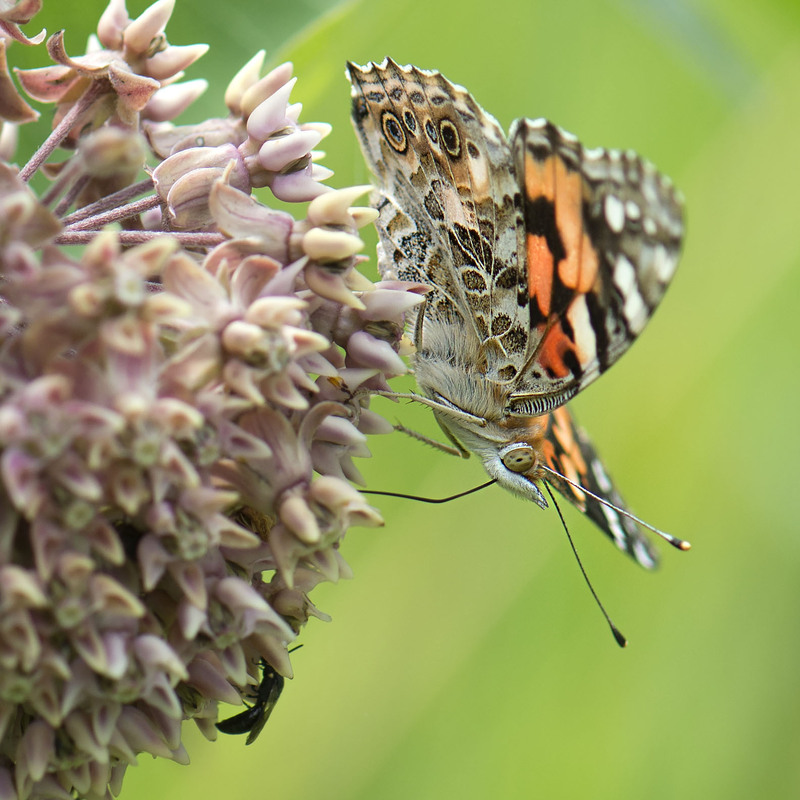 The butterfly – Painted Lady. Apparently the most widespread global range of any butterfly on earth! Hi and we do have quite a few painted ladies flying around here this summer. Given their wide range they must be quite adaptive in many environments.